There are outfits, and then there. are. outfits. 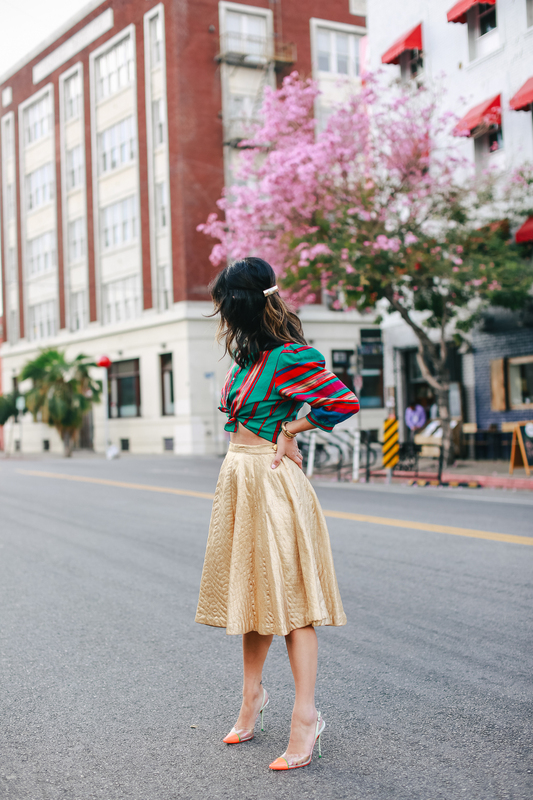 I’ve had this vintage gold skirt for many years and have always dressed it up with a cute crop top and heels (here). Although I could style it with a tee and sneakers, it just looks so good with great heels and the perfect top. This vintage top is a recent find from Pickwick Vintage. The colors and the pouf shoulders were too good to pass up. Although I plan to keep all of my vintage pieces forever, this skirt is definitely one of those pieces I’ll take with me to my grave! ha! 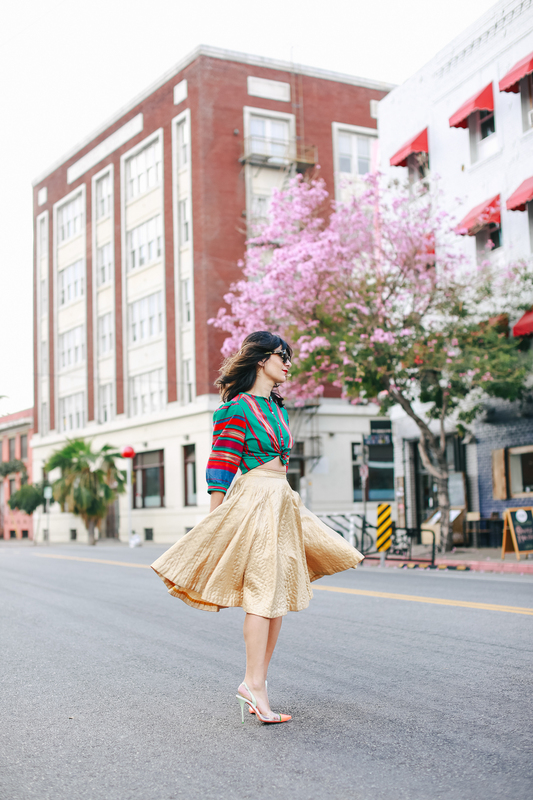 The quilted like pattern is divine and I love all the colors in that top. Sleeves are killer!